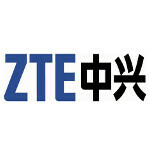 ZTE is a Chinese phone manufacturer that's been getting more and more popular these days. It managed to out some decent Android-powered gear at affordable prices, almost establishing itself as a worthy competitor on the budget market. However, ZTE UK today tweeted a piece of news that kind of managed to excite even us, tech industry veterans. Here's what they said: "The countdown has begun! 6 days left until you can have one of the MOST ADVANCED GAMING SMARTPHONES in your hands!" So, one of the most advanced gaming smartphones, eh? Well, we're totally in for it, although it's hard to imagine what this device will be all about. Will it be a specially-designed smartphone with a gamepad, like the Xperia Play, or will it just sport some hi-tech hardware and a bunch of preloaded games... or simply hi-tech hardware? Whatever the device turns out to be, at least the fact that the tweet was sent out by ZTE UK means that the company is targeting a global release. We'll try to get some more details from ZTE and will update this post if they have something else to share. The Xperia Play I have isn't really a gaming device. Underpowered and the screen is terrible --- 4" is too small for me now. Please be an S III with a Gaming Pad. I got a bad feeling about ZTE since the fact they packed spyware on their phones. Not sure if they mean by 'most advanced gaming smartphoneS' (note more than one!). But i don't believe the gonna beat up Sammys and Htc Quad-core-beast's. Sony is capable of crushing competition here. All they have to do is add a sim card slot to the PS Vita.